Home / Celebrities / Actresses / 5X Grammy Nominated Comedian & Singer Margaret Cho Talks Body Positivism! 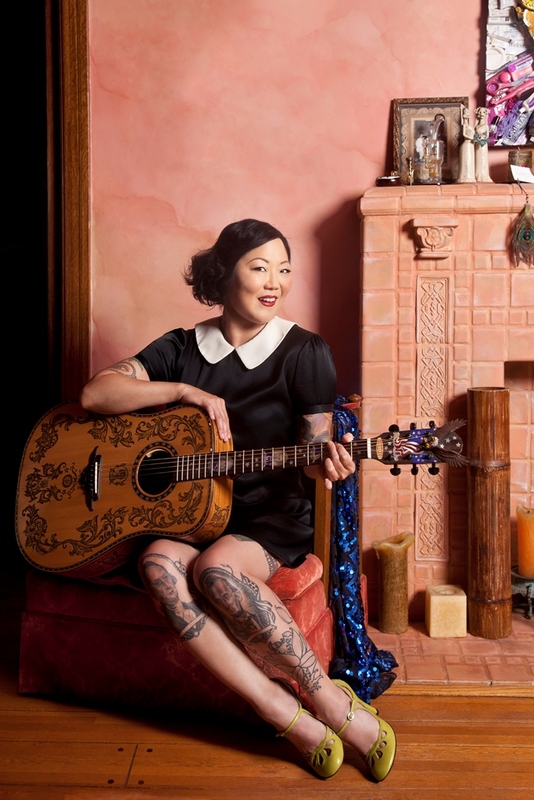 5X Grammy Nominated Comedian & Singer Margaret Cho Talks Body Positivism! An accomplished performer in all formats, Margaret Cho could be called the “Queen of all Media” having conquered the worlds of film, television, books, music and theatre. She has five Grammy Award and one Emmy nomination under her belt, and continues her pursuit of all things creative. Never one to shy away from a difficult, or even ‘taboo’ topic, her socially aware brand of comedy has made her both a thought leader as well as a teacher to those with open minds and open hearts. Equally as important as her art is the causes she is passionate about. Margaret is widely recognized for her charitable work with gay rights, anti-bullying campaigns and the homeless community, which grew out of a tribute to her dear friend, Robin Williams. In every segment of her life, Margaret is honest, forthright, passionate, uproarious and always entertaining. With her latest Concert Special, psyCHO, which was filmed at New York City’s Gramercy Theatre, Margaret Cho is at her very best. Margaret Cho, an American stand up comedienne, actress, fashion designer, author, and singer-songwriter talks about body positivism in an exclusive interview with Namita Nayyar, President Women Fitness. You have become an inspiration for millions of women and young girls all around the world since you started performing professionally at the age of 16. Having performed over 300 concerts within two years, you were introduced to late night audiences, put on a prime time special and, seemingly overnight, you became a national celebrity. Walk us through your spectacular journey and tell us how it all began? I loved comedy and I wanted to do it, and I started at a very young age. I was doing sets in clubs all through my teens and I worked at it like I was an adult until I actually became an adult. Every day was devoted to being a better comedian and it’s still that way. Comedy is my passion and my religion and it was just a matter of taking things day by day to be better, stronger, funnier!